I was meant to be studying over the last few days but I managed to sneak in a marathon run of My Little Monster. I don’t regret it, though. Sometimes you need a breather from the self-inflicted pressure of getting good grades, which is something Mitchi also learns over the course of My Little Monster. She’s a high achieving and devoted student who has little time for dealing with matters of the heart. That is, until she meets Haru. Haru- Don’t let his sweet looks deceive you. Haru is the opposite. He is purely driven by his emotions at all times. When he’s angry he will hurt people, when he’s scared of being judged he’ll run away and when he’s in love he’s sure to show it, even to the extent of becoming possessive over his loved one. Haru’s a kind of wild man whose actions can be very problematic (particularly in the beginning) in cultural terms. He goes against the behavioural norms modern society expects of people. At times Mitchi gets physically hurt because of his behaviour. But he develops into a much more civilized person because of (and for) Mitchi. He wants to make her happy so he starts to notice when he does something wrong. He was interesting to observe because sometimes he genuinely didn’t understand that his behaviour was inappropriate. He would hurt someone and then notice the horrified looks of the people around him and then feel afraid and confused. It reminded me of my puppy in many respects because she will, say, steal something and I’ll take it back and tell her off but she’ll stare at me all confused because she knows she’s done something wrong but she can’t always understand what she’s done exactly to earn my displeasure. 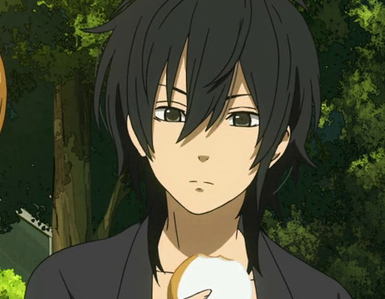 Haru’s heart is in a good place and he is actually very intelligent, but he has a very raw personality. Mitchi and Haru learn a lot from each other. Mitchi also gets to show she is a strong young woman who can feel deep love for someone else and yet maintain her independence throughout the series. She doesn’t just give up her studies whenever Haru wants to do something with her. She’s (mostly) intent on maintaining her priorities which is no bad thing. The key is that she learns to study with some degree of moderation, that it’s okay to step back now and then to spend time with your friends and connect with other people. Haru and Mitchi often clash and end up on different pages. Haru will be love in with Mitchi and then have to step back because he’s not sure of himself and then when he is sure Mitchi is the one who needs to step back. It’s the dysfunctional side of their relationship that makes the moments when they are on the same page so much sweeter. Yūzan- a man with a sweet tooth. But it’s not just Haru and Mitchi we follow. There’s also Haru’s family, who I wanted to see much more of. I particularly wanted to see more of Haru’s older brother Yūzan because they have a frictious relationship and althoughYūzan on the surface appears calmer than Haru, there’s something tangibly similar about their eccentric personalities. Then there are the other students Haru and Mitchi connect with. Asako and Sōhei are their closest friends at school. Asako’s story, in particular, is as sweet to watch as that of Haru and Mitchi. We first meet her as a student who is failingat school and desperately needs to bring her grades up in order to be able to attend a meetup planned by her online friends. She initially avoids the girls and boys at her own school because she doesn’t want their attention, and she doesn’t want to be drawn into a web of jealousy and drama. But she ends up connecting with Haru, Mitchi and Sōhei because she feels safe around them. That’s what friendship is about: finding people who make you feel comfortable and happy. Asako really values her new-found friendship in a way that is quite heart warming. 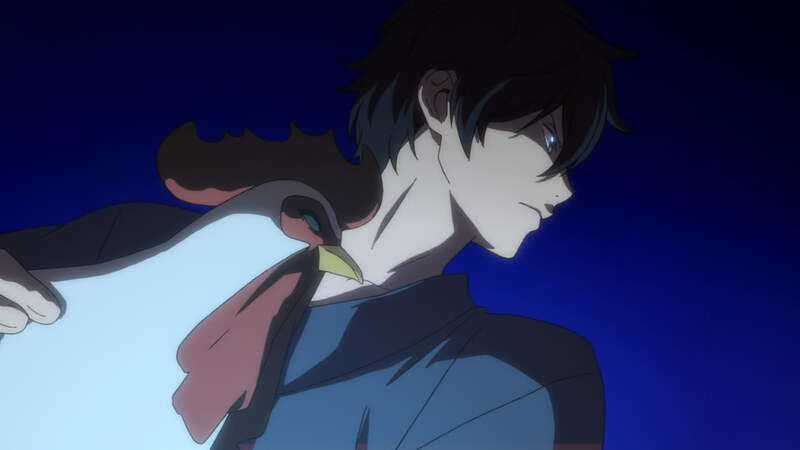 Oh, and I can’t discuss My Little Monster without mentioning Nagoya, Haru’s chicken. Don’t you dare touch Haru’s chicken! By the end of the series I was left wanting more. By the end you feel like this is just the beginning of these character’s lives because there’s so much drama and connection to be made, but this sense of lives moving forward is in itself a satisfying conclusion to a story about a mix of people who were stuck in their old ways. This was the story of them finding a reason to start growing and developing, together, I really enjoyed watching My Little Monster and I’m now looking forward to reading the manga.